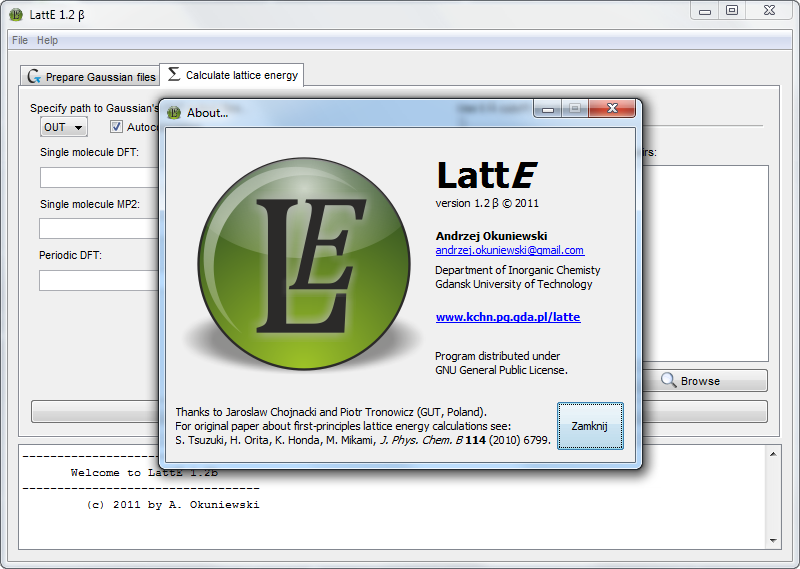 LattE is a computer program for automatization of first-principles crystal lattice energy calculations proposed by Tsuzuki et al. in 2010 [1, 2]. 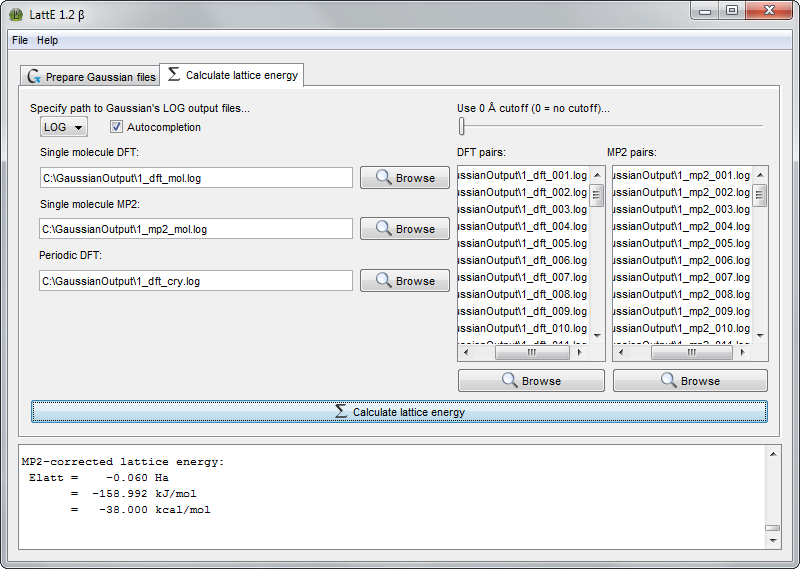 Program consists of two parts. 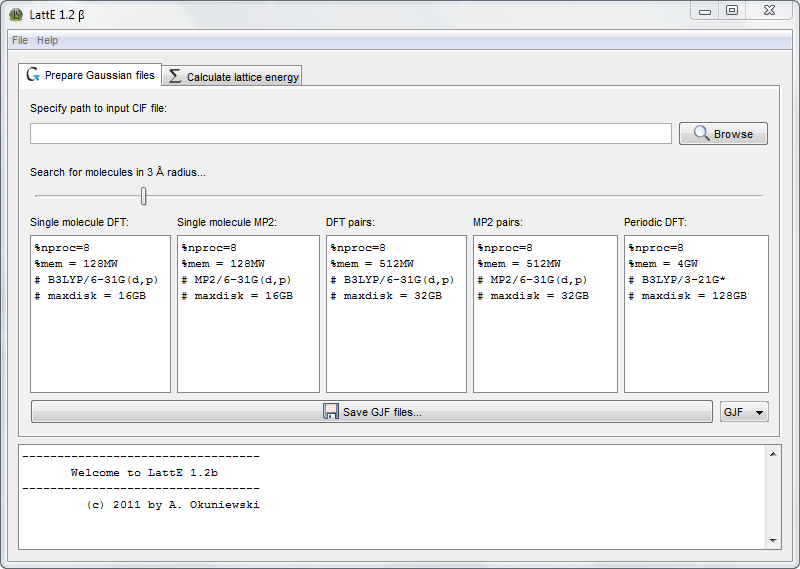 First part allows to prepare GJF or COM Gaussian  files from crystal structure CIF file. 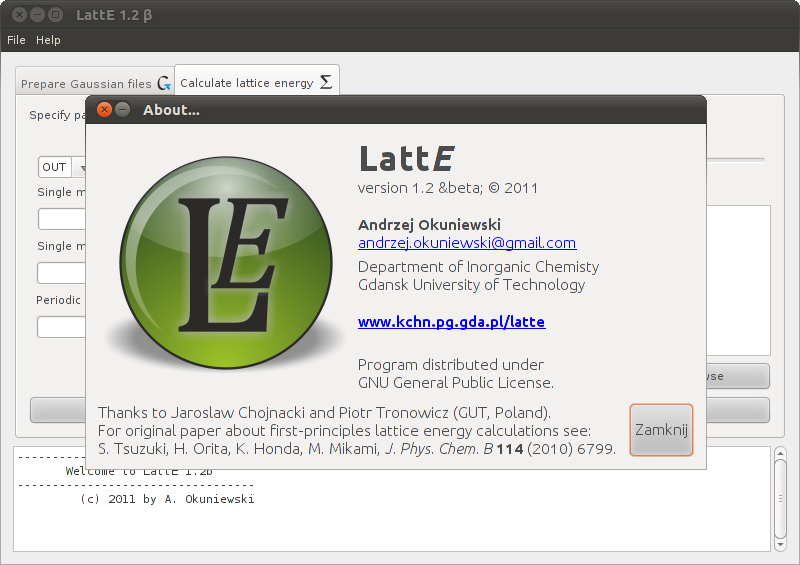 Second part reads LOG or OUT files generated by Gaussian and perform appropriate calculations to obtain energy of crystal lattice. 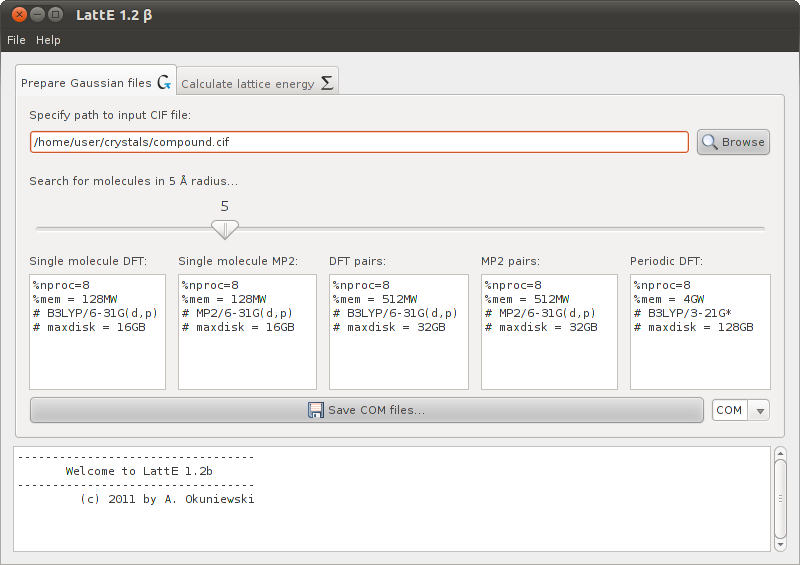 So on program works fine only for crystal structures with one whole molecule in asymmetric part. S. Tsuzuki, H. Orita, K. Honda, M. Mikami, J. Phys. Chem. B 114 (2010) 6799. S. Tsuzuki, H. Orita, H. Ueki, V. A. Soloshonok, J. Fluor. Chem. 131 (2010) 461. Copyright © 2010–2019 by Andrzej Okuniewski. 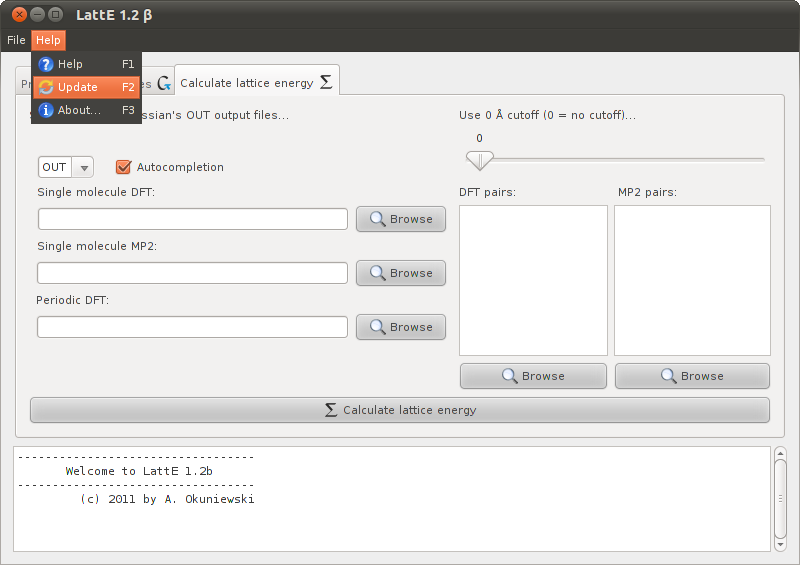 Program distributed under GNU General Public License.